Check this out! 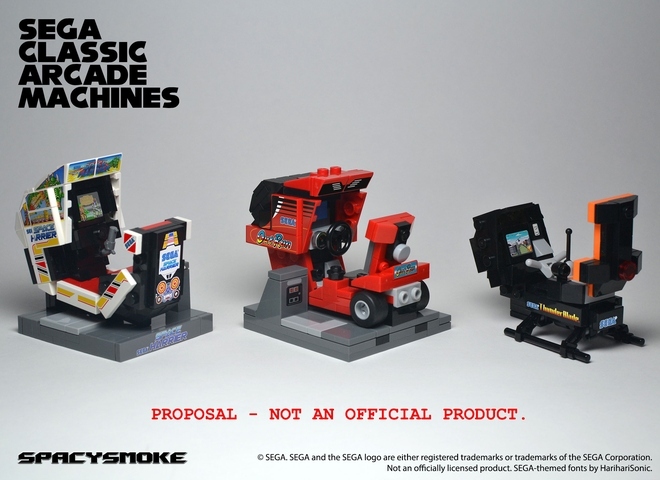 SpacySmoke submitted these perfectly detailed Sega Classic Arcade Machines to LEGO Ideas, and it’s reached the coveted 10,000 supporters, and is on to the review stage alongside The Blues Mobile. I love the machines, and they’re all minifigure scale. The three games are Space Harrier, Outrun and Thunder Blade, and they’re all from the late 80s. I really hope these make it through!